Boot brush stations will capture hitchhiking seeds. Most of us have learned over time to wipe our feet before entering the house. This spring, Natural Resource Specialist Kristen Sinclair will put a new spin on this message with the installation of three boot brush stations at Lake Fairfax Park. The goal of the one-year pilot project is to stop the spread of non-native invasive plant species such as wavyleaf basketgrass and garlic mustard by removing unwanted seeds from the soles of hikers’ shoes and boots. 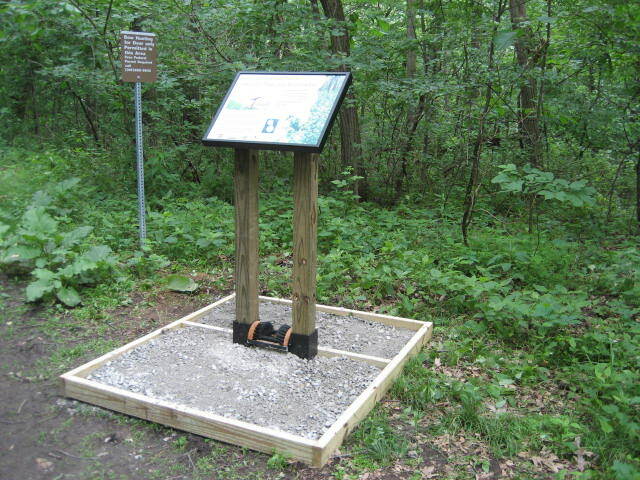 Boot brush stations have been installed successfully by park agencies in the Midwest and the National Park Service. The Lake Fairfax stations will be located at trailheads and near the campground. Stations include a framed educational sign, mounted boot brush, and a gravel reservoir to catch fallen seeds. To deter new weeds from sprouting up in the soil around the stations, a pre-emergent herbicide will be applied to the gravel area. 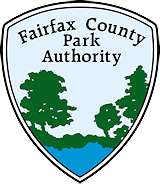 Funded by the Fairfax County Board of Supervisors’ Environmental Improvement Program, the stations provide an opportunity to educate park users about the negative effects of non-native invasive plants on the local environment. Aggressive invaders can choke forests, suppress native plants, and damage wildlife habitat. A startling example of invasive species spreading unchecked on parkland can be found at Maryland’s Patapsco Valley State Park, where wavyleaf basketgrass engulfed 100 acres in less than 10 years. The threat of this happening at Lake Fairfax is very real. Erin Stockschlaeder, coordinator for the Invasive Management Area (IMA) and Early Detection and Rapid Response (EDRR) programs, has discovered and mapped wavyleaf basketgrass in the park. This plant blankets the forest floor, and its small, sticky seeds cling to pant legs, socks, and boots. As the invading plant spreads, native plants including deer’s tongue (a native grass), violets, trout lilies, and a variety of ferns disappear. 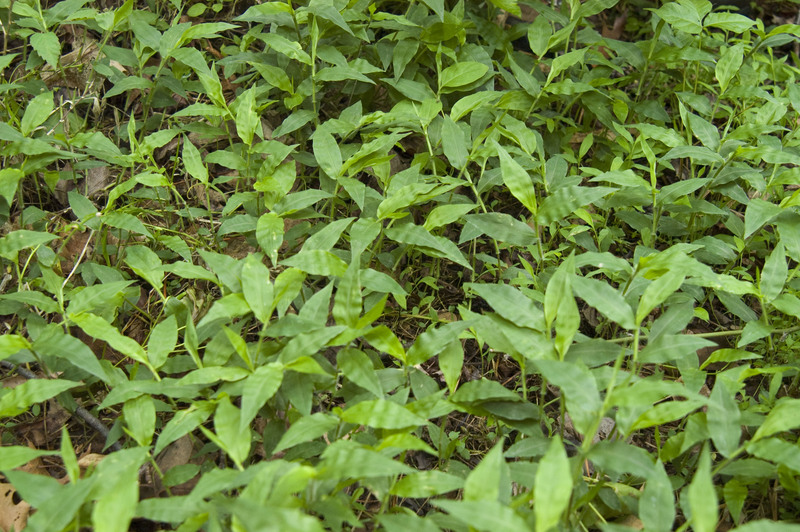 According to Sinclair, one measure of success for the program would be finding no new populations of wavyleaf basketgrass in the campground or on the trails. If the program is deemed successful, brush stations may be installed at other parks throughout the system. A sign identifies common invasive species. Getting the most bang for your buck is important in these lean budget years, and once installed the new inexpensive brush stations will require little maintenance. Three brush station kits and sign will be purchased from Genesis Graphics of Escanaba, Michigan, and assembled and installed by Groundskeeper Specialist Ferlin Mathews and the Area 6 crew. Graphics for the sign were developed by Graphic Designers Joanne Kearney and Alex Ngyuen. “We will monitor the stations the first season to make sure there aren’t any undue maintenance issues,” said Sinclair. This entry was posted in Uncategorized and tagged Early Detection and Rapid Response, IMA, Invasive Management Area, Lake Fairfax Park, National Park Service on April 2, 2012 by Fairfax County Park Authority.